This is it – my last week off before school starts next Tuesday. So of course I am in full panic mode. I have been busy having fun with my family and prepping things for and in my classroom. 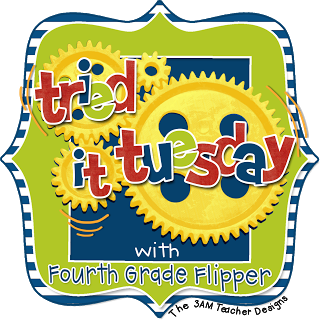 I thought I would share one of the things I tried in my classroom by linking up with the amazing Holly at Fourth Grade Flippers for her linky…. This is one of the bulletin boards in my classroom. Yes take a good look at that, the pipes, the metal rods, the phone, the electrical outlets – all part of my bulletin board. It was bad enough when I just had the heating pipes but when they installed our projector system they added all those lovely metal rods that contain all the wires and cords and necessary to hook the projector up to my computer. 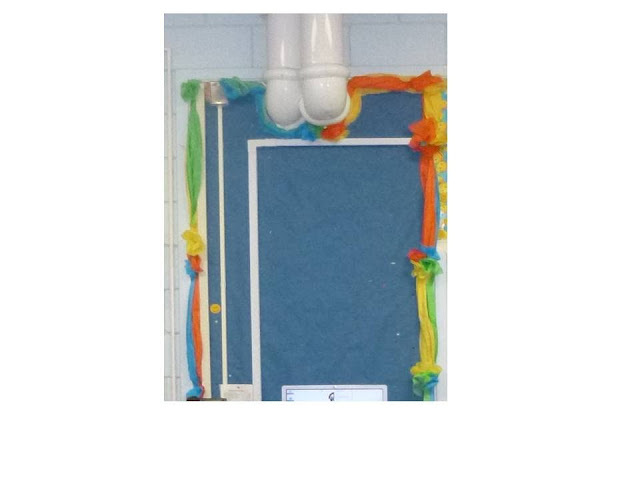 Don’t get me wrong, I love my Brightlinks but I will admit I lost my mind when I showed up one morning and saw what they had done to my bulletin board. So this summer I saw a picture on Pinterest that showed a bulletin board border made out of tissue paper so I thought I would give it a try. I chose a few colors that go with my class theme (we have tons of tissue paper in our school – but you would not need more than one or two packages of each color you wanted to use). I folded each sheet in half lengthwise then in half again. I stapled it to the board a few centimeters above the bottom so I could fluff out the bottom. In some areas I had to use push pins since I can not get a stapler in the small space. I put two colors together and alternated colors. I love that I could get into all the hard to reach places. 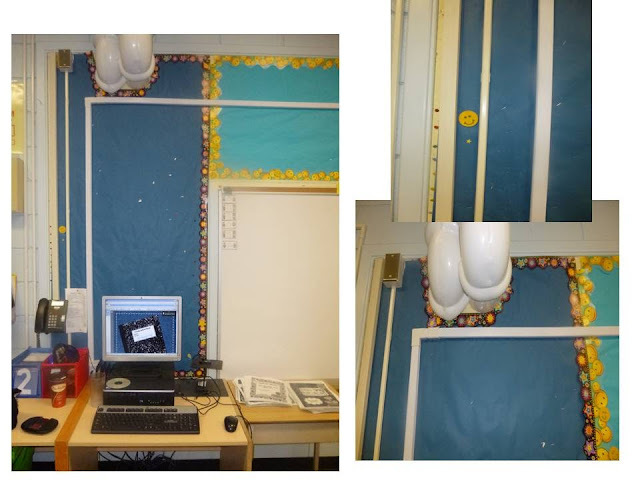 Do I want to do all of my bulletin boards like this – no – cause I love borders (slight addiction). But I do love this option for holidays when I don’t want to be a holiday specific border or to do a bulletin board with our school colors – I think that is an awesome use of this technique. Make sure you check out Holly’s blog so you can see what everyone else has tried. Very cute! 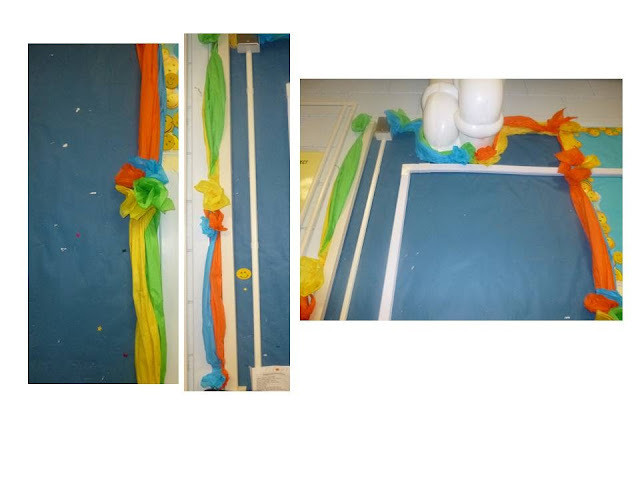 That is one thing college never prepared teachers for....how to decorate a poorly designed classroom :) Nice Job! The tissue paper adds a nice touch, even to the pipes and electrical outlets! Enjoy these last, precious moments of summer! Wow! I'm amazed at how you made all those pipes and wires look beautiful and I love how you didn't let a few wires and pipes stop you! hehe Thanks AMC for the shout out for my Back to School Autobiography! You're the sweetest! I would've had a mini heart attack when I saw the rods. I probably would've added a billion ribbons or something. I love the tissue paper idea. You definitely made it work! Our office staff made a similar board this year. I thought they came up with the idea. Now I know! Lol! I first noticed the pipes and was like, "What is that?" haha! 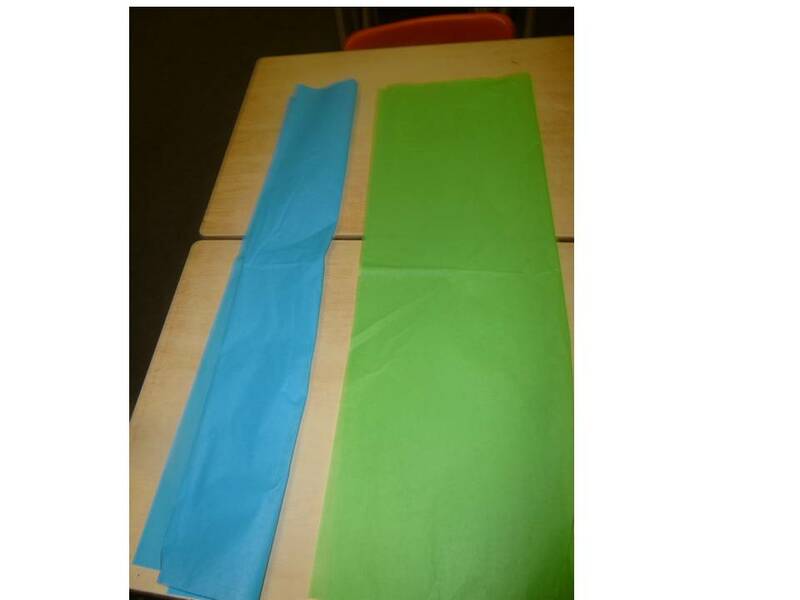 You do such a nice job disguising it and the tissue paper idea is SO creative! I don't mind the white strip hiding your wires too much because I have the actual wires for my projector hanging out of my ceiling and down my wall to my computer! Yuck! Thanks for linking up! What a great idea! 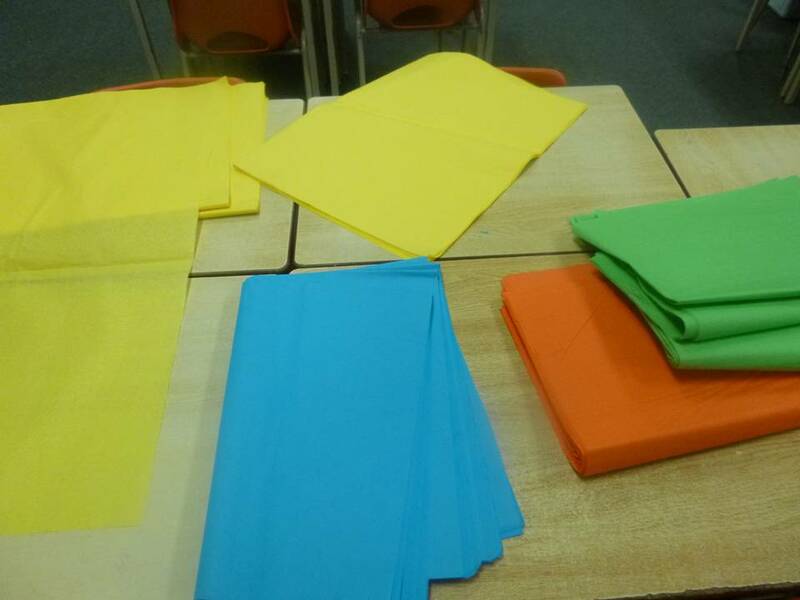 I have so much tissue paper I have saved to reuse, and this would be fun if our fire marshal would allow it! So glad you could cover that mess up! I think you did the best you could with an ugly situation. I have tissue paper, may give it a try! The border turned out great!